Can I customize the register button? 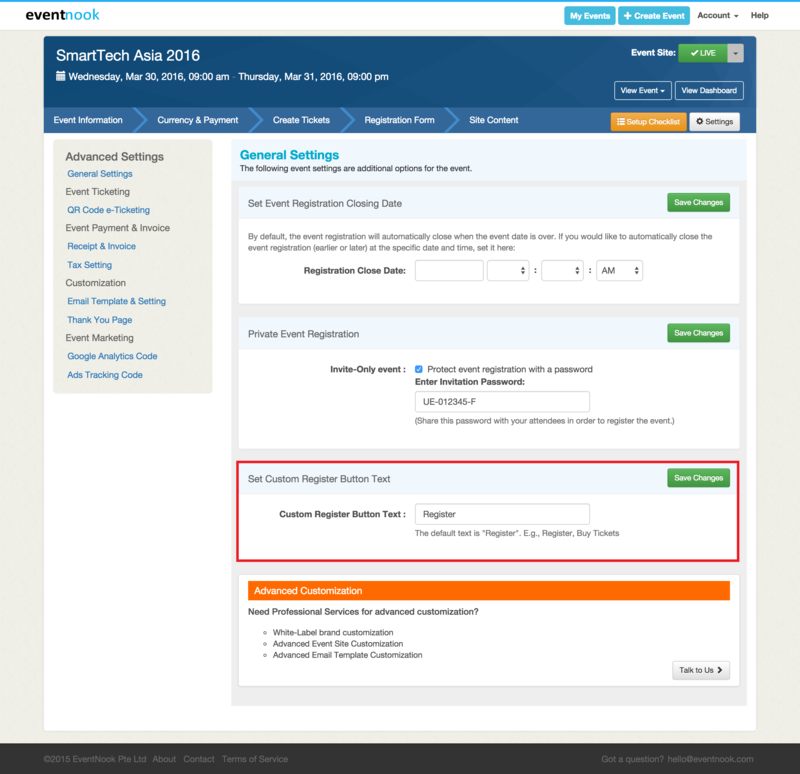 EventNook offers a setting to customize the “Register” button on the event registration page. For some ticketed events, it would be preferable to change to “Buy Tickets” or “Book Tickets”. 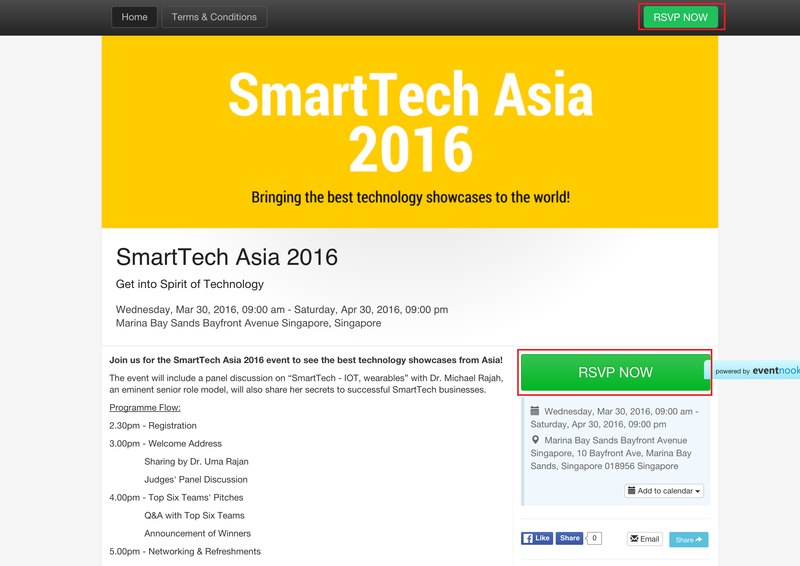 For some corporate event, it would be preferable to use “RSVP Now”. You can access it by visiting the Dashboard and going to Settings under Setup. Edit the “Set Custom Register Button Text” field.